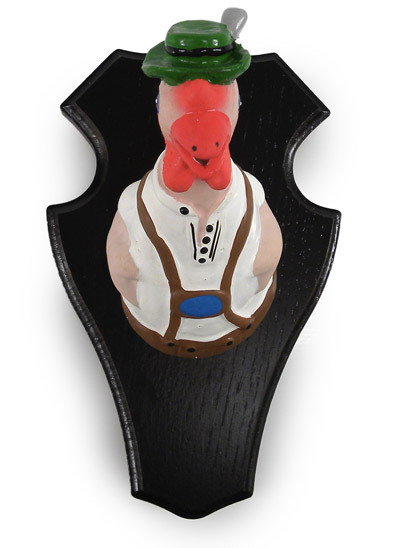 The "Gallus Bavaricus" can be found in sparsely populated regions of southern Germany. Its multi-colored plumage resembles a traditional Bavarian attire, forming a leather short shape. The green cockscomb is almost similar to a Bavarian hat.